As a diabetic and someone who likes working out, I know the importance of eating enough protein. I admit that I am not perfect when it comes to protein intake and I also hate the taste of protein powders when they come in the form of shake mixes or just added to a smoothie. I really did try to like them this way, but to no avail. Knowing that protein intake is important for building muscle (which will ultimately burn fat) and for helping regulate blood sugars as well as keeping me feel fuller longer (something I struggle with because of my diabetes), I had to find some way to get more protein and honestly, there are only so many chicken breasts a person can eat. I was super happy when I was browsing Pinterest one day and I came across so many creative recipes that contained protein powder that would pretty much make this powder itself disappear into a delicious snack or dessert. That’s something I can get on board with! 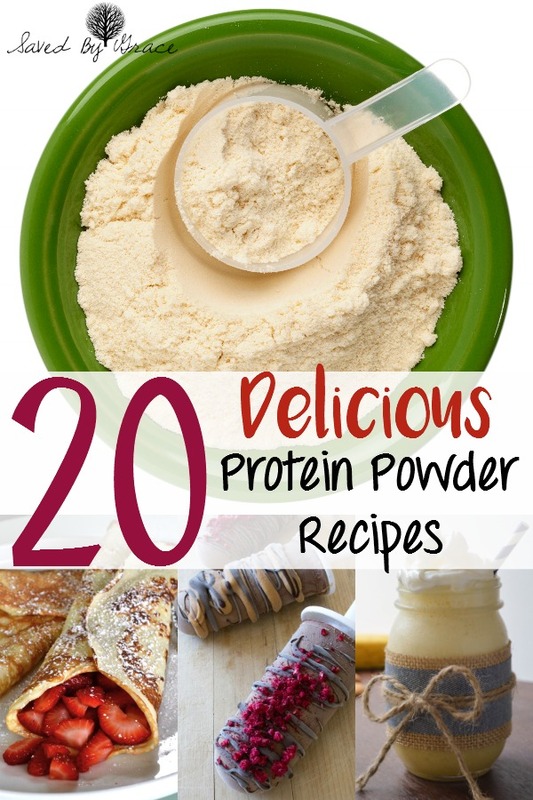 If you are like me and hate protein powder, but want to add more of it to your diet for whatever reason, here are 20 Delicious Protein Powder Recipes to try out! I would love for you to make some and come back and tell me your favorites!